Have you ever heard the phrase, “It was just a fender bender”? If you have ever been in a fender bender, you may recognize that feeling of relief the damage was not worse and frustration with any cosmetic or functional damage to your vehicle. While you can be grateful a fender bender does not do as much damage as totaling your car or seriously injuring you, you still want to take fender benders and corresponding auto repairs seriously. 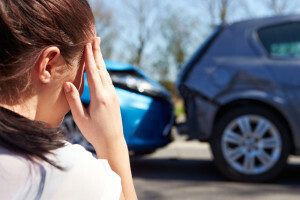 What Makes an Auto Accident a Fender Bender? An auto accident is considered a fender bender if the accident occurs at a low speed and involves a vehicle’s bumper or fender. Even though damage from a fender bender is minor, fender bender repairs can be costly. Fender benders can be embarrassing. 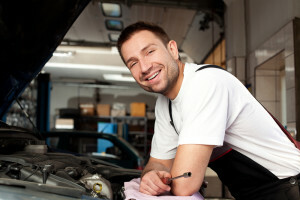 Get your fender bender repairs done at a Reno auto body repair shop. If you find yourself in a fender bender, the best thing to do first is exchange insurance information with any drivers involved in the auto accident. Though a fender bender would be dismissed by some as minor, you still should exchange information in order to make the fender repair as simple as possible. You can decide after the fact if you actually want to file a claim, but why rule that option out before you have even had someone assess the damage? If you need help on fender bender repairs, take it step by step. After you assess the damage, you will want to elevate the car to reach the right areas. The next step in fender bender repair is to take off tires near the areas of bumpers or fenders that need the repair work. Once any tires are removed from the vehicle, your next step in fender bender repair is to remove the fender liner so you can better see and repair any damage from the fender bender. If your fender bender repair needs are mainly re-attaching the fender to the rest of the vehicle, a few nuts and bolts with some elbow grease will do the trick. The key to this aspect of fender bender repair is to line up the holes in the fender or bumper with their corresponding holes on the vehicle. Other fender bender repairs are usually for dents or scrapes that occurred during the collision. If you have any dents, your best bet is most likely paintless dent repair. If you have scrapes or surface scratches on your car, you can buff out the scratches and then add wax back to the vehicle surface. Liberty Collision can take care of your fender bender repair needs. Liberty Collision is your ally for a local auto repair shop. Donnie Thiessens of Liberty Collision has been a resident of Reno for over 50 years, so he knows how the Reno climate can affect your car and even exacerbate damage after an auto accident like a fender bender.